Very little has been discovered up until today regarding the famous, or rather, the infamous personality of Satoshi Nakamoto. The individual or group of crypto developers responsible for creating the Bitcoin blockchain’s infrastructure, as well as the initial creation and transaction of the revolutionary digital currency, is still hidden well behind this seemingly Japanese pseudonym. Throughout the years, all kinds of publications and major corporations, as well as the official authoritative bodies of numerous governments, have joined in the quest to reveal the face behind the name. In this regard, they have put in long hours to identify the many aspects that can provide some insight into the matter, some of which is illustrated in further detail below. There have been numerous guesses and heated debates as to the real identity of the inventor of Bitcoin, known solely under the pseudonym Satoshi Nakamoto. Starting off with factual records, this person is the self-proclaimed developer of the Bitcoin cryptocurrency. He or she, or better yet they, were first made known to the masses in late 2008, when the actual system and its basic operative mechanisms were publicized via a mailing service. The Bitcoin creator, whoever they may be, has taken it upon themself to bear the responsibility of opposing fiat currencies and existing financial institutions. Unavoidably so, this has turned many of the aforementioned organizations against them, thus slowing the initial progress of the most unique digital invention so far. Regardless of their strong persistence to remain hidden away from the public eye, this persona or team is an icon in today’s modern world. Despite all efforts, numerous assumptions and investigations are well underway, accompanied by the regular Satoshi Nakamoto net worth estimates and calculations. This person is said to be the sole owner of the largest collection of this currency’s crypto-coins, spread across multiple e-wallets. With wealth that size, careful tracking of its value—and more importantly, indications regarding its relocation—is crucial to making reliable predictions about market shifts and exchange rates. After all, these are some of the key parameters determining successful Bitcoin trade, investment ventures, and payments. A decade prior to Bitcoin’s official release, there was a similar endeavor known as Bit Gold, invented by Nick Szabo. This is often taken to be the most likely inspiration for the Bitcoin founder’s interest in the matter. Luckily, no overlap has been noted between the cryptocurrency proposed at the turn of the century and today’s leading peer-to-peer blockchain platform supporting Bitcoin as both a commodity and a currency. Focusing on Nakamoto, it is important to point out that prior to their release of the Bitcoin paper in 2008, no computer developer had been registered or known under the name. Considering this person’s massive potential, it is rather suspicious how such talent managed to remain hidden up until this determined moment. It was only when the essay “Bitcoin: A Peer-to-Peer Electronic Cash System” was sent to a group of established and renowned digital developers through a crypto mailing list that the name first started raising eyebrows. Speaking of which, the persona’s disappearance shortly afterward only further ignited everyone’s interest in the apparent eccentricity of the matter. This short 500-word essay was Satoshi’s first attempt at communicating with fellow renowned developers, and they continued in the same anonymous manner over the next two years. By January 2009, Nakamoto decided to take matters beyond the Bitcoin whitepaper and actually released the coding for this Bitcoin electronic cash payment system. As an open-source establishment, the founder expected fellow colleagues of the same profession to contribute their own solutions and improvements to the system and ultimately achieve its full purpose of decentralization. The name Satoshi Nakamoto frequented this field for the next two years, as the persona continued working on the Bitcoin system. Nakamoto mined the first block, the Genesis block, and was the first ever to perform a transaction with the initial cryptocurrency, Bitcoin, produced by the mining process. After all, there is hardly anyone better than the person who invented Bitcoin in the first place to take it to the market. Satoshi continued their work on the system through the end of 2010, when another untraceable email from this individual or group of people was sent declaring his final retreat. Gavin Andersen and other original Bitcoin miners were left to maintain and fix bugs in the system, while Nakamoto watched their “offspring” flourish from a distance. While it may seem like Bitcoin was a helpless abandoned orphan left to fend for itself, its contemporary success proves the contrary. 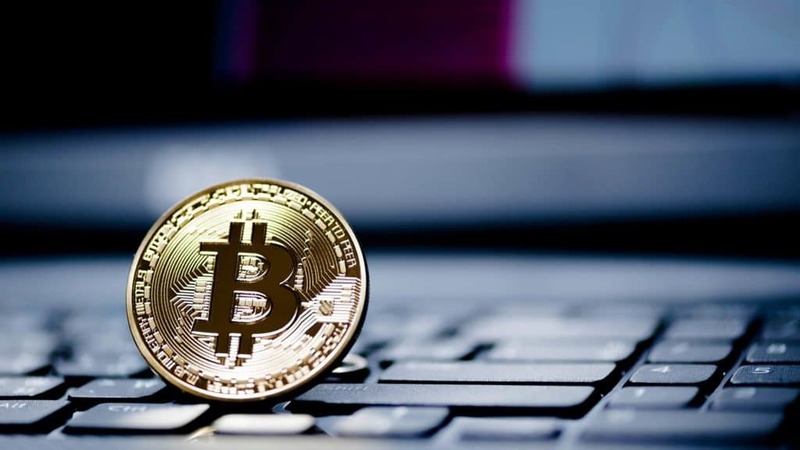 Satoshi Nakamoto made sure of the invention’s sustainability, although it is solely up to its unique features that this cryptocurrency managed to attract global interest. The first exchange platform for the purposes of obtaining this cryptocurrency came soon afterward, and it wasn’t long before the first transaction occurred in London. A single Bitcoin owner paid thousands of Bitcoins for a couple of pizzas, which is nowadays known as one of the worst trade deals in history. Considering that since the Satoshi Nakamoto white paper publication, Bitcoin’s max value reached an astonishing $20,000 per coin, anything short of a financial ordeal is an understatement. Speaking of the less glowing achievements in the cryptocurrency’s past, its relation to the Silk Road scandal has been one of its worst periods. The Silk Road was an established dark web trade platform which sold all kinds of illicit substances, weapons, and similar material. On the other hand, the cryptocurrency created by Satoshi Nakamoto was intended as a decentralized payment system that would remove any central authority and allow completely secure, unimpeded, yet safe and completely anonymous transactions. As such, it provided black market traders with the ultimate payment method. As Bitcoin started growing in value, and even after it deflated following its peak value back during the summer of 2017, obtaining Bitcoin had remained a priority. People worldwide were looking for reliable sellers, exchange platforms, online service providers, or employment options that paid in Bitcoin, not to mention investment groups. Nowadays, people can choose to invest directly in the cryptocurrency or in a mining pool that’s mining new Bitcoins. In this regard, no one could help but wonder what riches its creator has stored up. While there is no confirmation, Satoshi Nakamoto is estimated to hold a little less than a million BTC, or about 5% of its finite supply, making their wealth fluctuate within the realm of billions of dollars. Who is Satoshi Nakamoto? From the beginning of the article, one point that is continually repeated is the lack of a clear definition as to the person or people behind the well-known pseudonym. Cryptocurrency enthusiasts are not even aware of the proper pronoun, as there are no indicators of them being male or female or one or more people. Nevertheless, keeping in mind the immediateness of the matter and its widespread popularity, interests regarding this issue have only grown by the moment. And civilization will no doubt continue to speculate wildly in regard to the true Satoshi Nakamoto identity. Many speculators base this guess on Szabo’s attempt to establish the Bit Gold digital cryptocurrency about a decade before Bitcoin even appeared. Due to similarities in the name, the format of the currency and its transaction principles—decentralized and completely anonymous—many supported the idea of Nick Szabo being behind the pseudonym. While in the crypto development area, it would be a rather prestigious accusation, legal, real-life entities had a different viewpoint. Soon after the initial accusations, Nick denied any relation to the name. What seems like an unlikely turn of events has led numerous people to believe that Dorian Prentice Satoshi Nakamoto was the famous inventor of the Bitcoin cryptocurrency. In fact, this Asian-origin name actually belongs to a Japanese man living in California with his mother, whose field of study surrounds physics, predominantly. While the person’s birth name directly pointed to Nakamoto, there was no further evidence that he had produced the Bitcoin cash system. In terms of claim support as we investigate who invented Bitcoin, Hal Finney definitely holds the highest percentage of speculators. After Nakamoto themself, Finney was the second person to ever gain access to the blockchain, to mine, obtain, and transact with Bitcoin, as well as fix bugs, suggest changes, and apply his own improvements to the system. Hal’s correspondence (presumably staged) with the actual Nakamoto, as well as his proximity in residence to the aforementioned Dorian Nakamoto all support this specific theory. However, Finney passed away in 2014, and should any of this be true, so too did the one and only real creator of the Bitcoin cryptocurrency. While Finney was considered the most likely, Wright is arguably the most controversial of all the Satoshi Nakamoto candidates. He was pinned with the responsibility of having developed the given cash system somewhere near the end of 2015, only to emerge in 2016 with a renewed online presence in order to announce the truth behind such speculations. However, when key initial Bitcoin miners who had been participating in and improving the system from the earliest days went on to request a form of proof, Craig Wright’s claim fell short of any substantial evidence. When specific personas from the European continent, the US, and ultimately Australia didn’t have what it took to be the Satoshi Nakamoto everyone is looking for, interested parties had to look elsewhere. In search of more accurate results, interested parties analyzed the speech segments in the Bitcoin whitepaper publication and identified a perfect use of the English language, with certain slight indicators toward the British version. This changed the direction of people’s thoughts, as they started focusing on citizens of the commonwealth rather than an Asia-based crypto-developer. Anyway, this approach has so far proven to be just as futile. The people listed so far aren’t the only ones assumed to be related to the identity of Satoshi Nakamoto. Considering that there is no fixed answer to the question “How much is Satoshi Nakamoto worth?” people have been practically volunteering. Several companies have also been under suspicion, as well as the Tesla founder Elon Musk. Some even date back to the 20th century, as the 1998 Liberty Dollars inventor Bernard von NotHaus has also been considered a potential candidate. Either way, while speculations abound and intertwine, the proof of the real identity is contrastingly simple. All you would need to do to prove you’re the real Nakamoto is provide the key to your earliest wallets, or simply move your Bitcoin to a different destination. Many people believe that the massive fame and widespread exposure of the Satoshi Nakamoto image are what scares the real person. However, analysts who have delved deeper into the core of Bitcoin discovered that the developer of such an electronic cash system would need to undergo serious consequences for their actions. This is so even despite its current legal status in multiple jurisdictions, and its widespread application on all kinds of platforms. What’s more, having the truth available for everyone would inevitably cause such a massive owner of Bitcoin to suffer all kinds of hacker attacks from malicious individuals. There are such groups all over the world, developing all kinds of counter-encryption technologies to bring down the platform, or at least subject it to their dominance. Ultimately, the cause for such fervent anonymity to protect the true Bitcoin creator lies in the constant efforts being made to stabilize the currency as such. During the years, it has definitely experienced a fair share of turbulence, causing reluctance among Bitcoin owners. If one of the biggest owners of Bitcoin were to be revealed, or even made to dump their Bitcoin into the market, the major shift in value could cause multiple platforms, businesses, and entire economic segments to crash worldwide. Imagine the chaos it would cause among all online academies, agencies, Bitcoin casinos, and other businesses that use Bitcoin. Who Are the Owners of Bitcoin? So much talk regarding the wealthiest Bitcoin owners has inevitably got people thinking about the other Bitcoin whales—owners worth the trouble of knowing. Like anything else surrounding the cryptocurrency, the top major owners are just as complex. The best way to describe these whales is to split them into four groups. 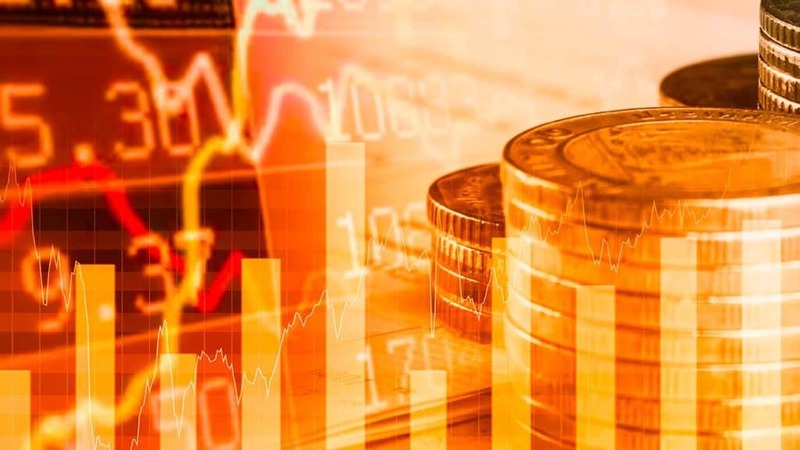 The former group consists of active traders, miners, and owners looking to create new investments, trade, and profitable opportunities through the currency. The other three, making up the passive segment, consist of the initial traders and miners who have possibly passed away or lost their keys, a group of passive Bitcoin owners that have no way to access their crypto funds, and ultimately, a small group of criminal owners. All in all, there is no saying that Satoshi Nakamoto isn’t a part of any of these groups, or represents a standalone entity. With so little known about the person, and everything else openly revealed about the currency, enthusiasts are no less eager to continue digging in search of an answer to the matter of Satoshi Nakamoto, the alternative identity of the real Bitcoin developer.